For residents of the corner of McLean inside the 10th Congressional District, last night’s election saw Jennifer Wexton (D) oust Barbara Comstock (R). But for the rest of the area, incumbents will be returning to office. Not only did Wexton win in Fairfax County, but the Dranesville District heavily favored Wexton by 3,592 votes. It was an active race, with 73 percent of voters casting ballots across the Dranesville District. Even before election day, the 10th District race saw an unusually high number of absentee ballots. Comstock won the seat in 2014 after replacing Congressman Frank Wolf (R), who’d held the seat for over 30 years. Wexton will be the first Democrat representing the 10th Congressional District since 1981. But while McLean saw high turnout in the competitive race, the Tysons area voter turnout was lower than the countywide average. Countywide voter turnout was 69.8 percent, but the Tysons precinct only reported 58.7 percent voter turnout. At the nearby Magarity and Rotonda precincts, voter turnout was 66 and 64.7 percent respectively. In the 8th Congressional District, incumbent Don Beyer (D) handily beat challenger Thomas Oh (R), winning 76.3 percent of the vote. It was a similar story in the 11th Congressional District, where incumbent Gerald Connolly (D) defeated challengers Jeff Dove (R) and Stevan Porter (L) with 71.1 percent of the vote. 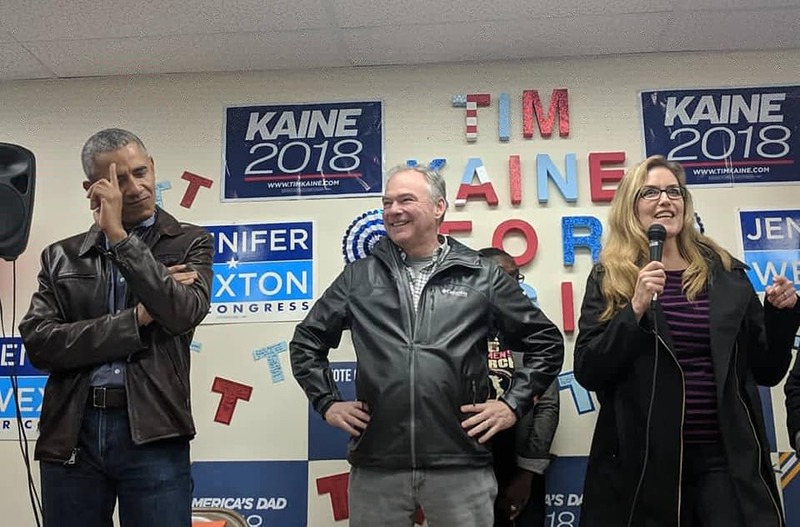 In the statewide race, Sen. Tim Kaine (D) won a 15-point victory over Republican Corey Stewart. Two constitutional amendments allowing tax exemptions and the public safety bonds request were also approved.